Thin airbrush colors, increase transparency, and improve flow with waterbased Createx 4012 High Performance Reducer (also called Wicked Colors W500). 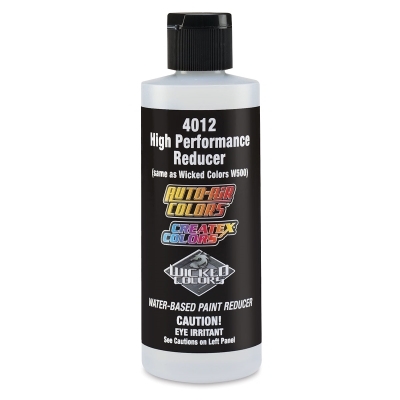 Use this premium reducer with Auto Air Colors, Wicked Colors, Illustration Colors, and AutoBorne Sealers. Paints have a 72-hour pot life after they're mixed with 4012.